Thanks to Steve Harrison at Blue NC this morning for highlighting and critiquing a pair of dueling essays in yesterday’s Charlotte Observer on the sobering subject of coal ash (the waste that results from burning coal and, in part, from “scrubbing” the exhaust so that we keep the air a smidge cleaner). The bottom line takeaway: The innumerable problems with coal ash are just another reminder of why we are kidding ourselves if we pretend that coal is a viable long-term solution to the world’s energy challenge. (Photo courtesy of the Southern Environmental Law Center). 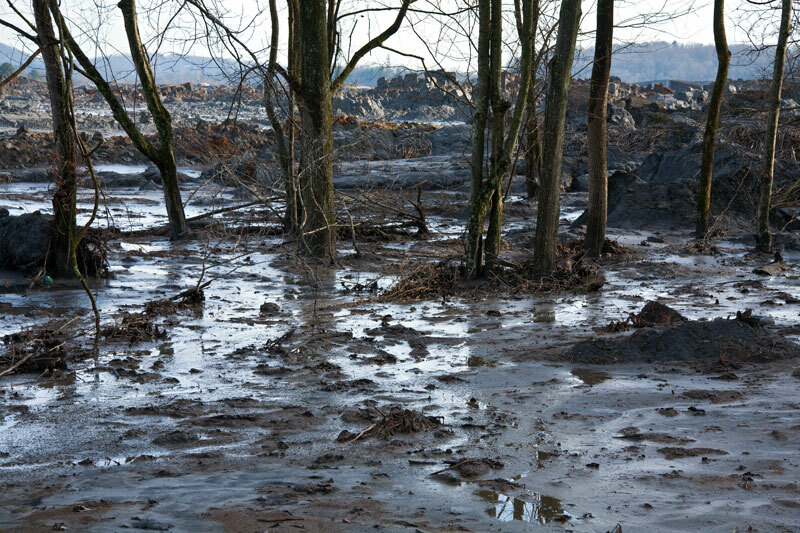 As somebody who has been in the industry and worked with coal ash, the problem is manageable. Coal is a plentiful resource and we are shooting ourselves in the foot with the anti coal agenda from Obama. It will result in higher utility bills and eliminate jobs. The middle class and poor would suffer under this agenda. Close those jobs down, what a benefit that would be to the middle class.